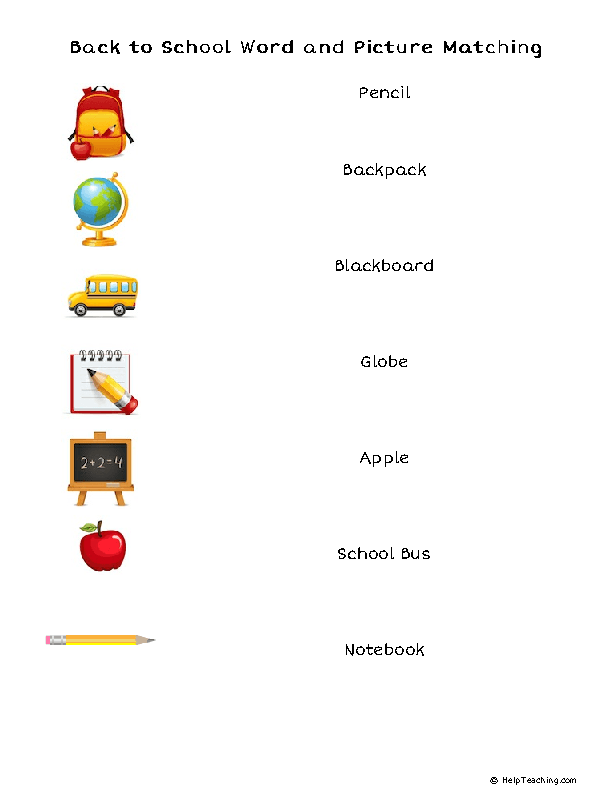 Teach students words related to going back to school with this Back to School Word and Picture Matching Worksheet. Students must draw a line to match each picture with the word that represents it. 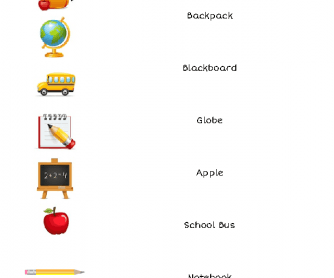 This worksheet will help students learn the name of common school items. Find more seasonal worksheets on HelpTeaching.com.